Try GN Nutrition Hydrolyzed Liquid Amino and enhance your muscle growth quickly and effectively! Also promotes faster recovery. Contains whey protein that has been hydrolyzed to the smallest possible free amino acids and are the building blocks of muscle, new muscle growth and it also promotes recovery. Are you looking for a bundle to help you Recover Fast and Build Muscle? Burn that fat and blow up those muscles. Contains whey proteins which have been hydrolyzed to the smallest possible free amino acids. These amino acids are essential for promoting new muscle growth because they are the building blocks of muscle itself. 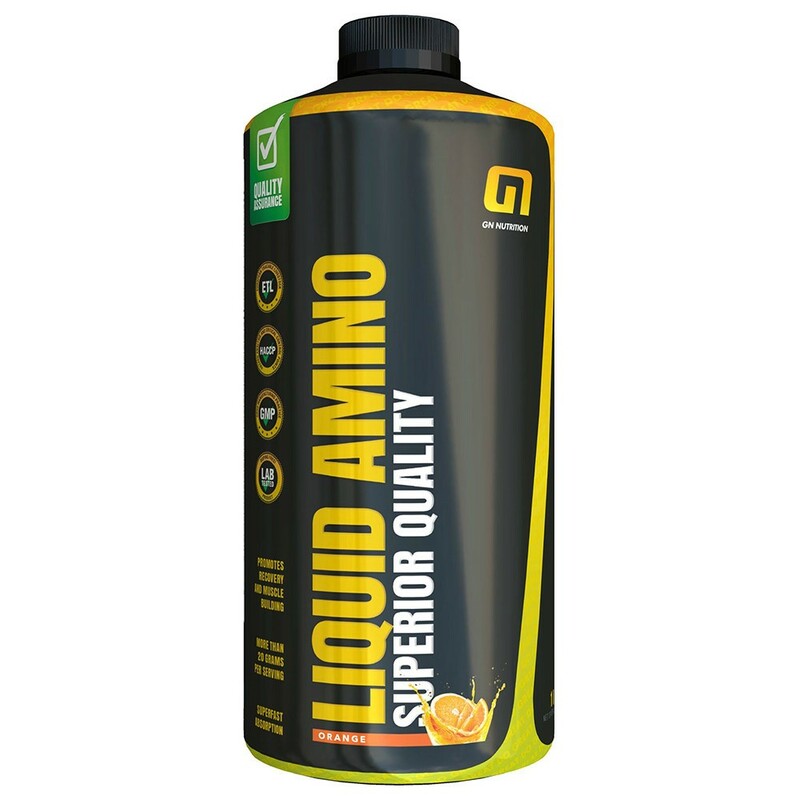 GN Nutrition Hydrolyzed Liquid Amino delivers rapid absorption and more than 20 grams per serving. GN Nutrition Hydrolyzed Liquid Amino also promotes recovery. On workout days take 20 ml GN Nutrition Hydrolyzed Liquid Amino 30 minutes before your workout and 40 ml immediately after your workout. On rest days take 20 ml GN Nutrition Hydrolyzed Liquid Amino 15 minutes before breakfast, and 20 ml before going to bed. Great Nordic Nutrition (GN Nutrition) is a European supplement brand known for its High Standards, Quality Assurance and Award winning taste sensations.